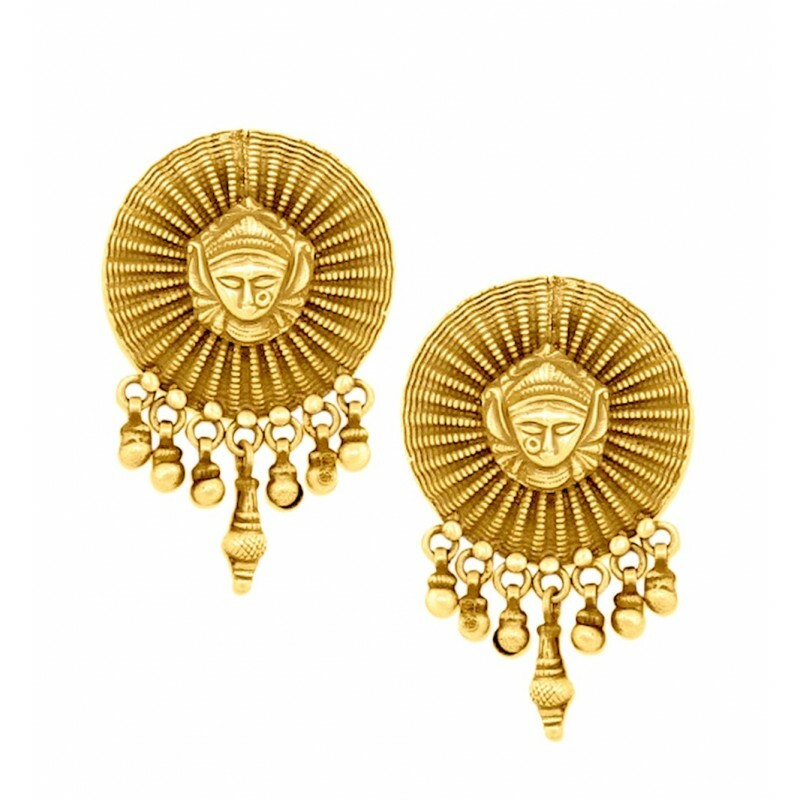 Simple Goddess Durga earrings based on a round basket like base , with ghungroos suspended from it . Wear this and bring out your inner Goddess !!!! 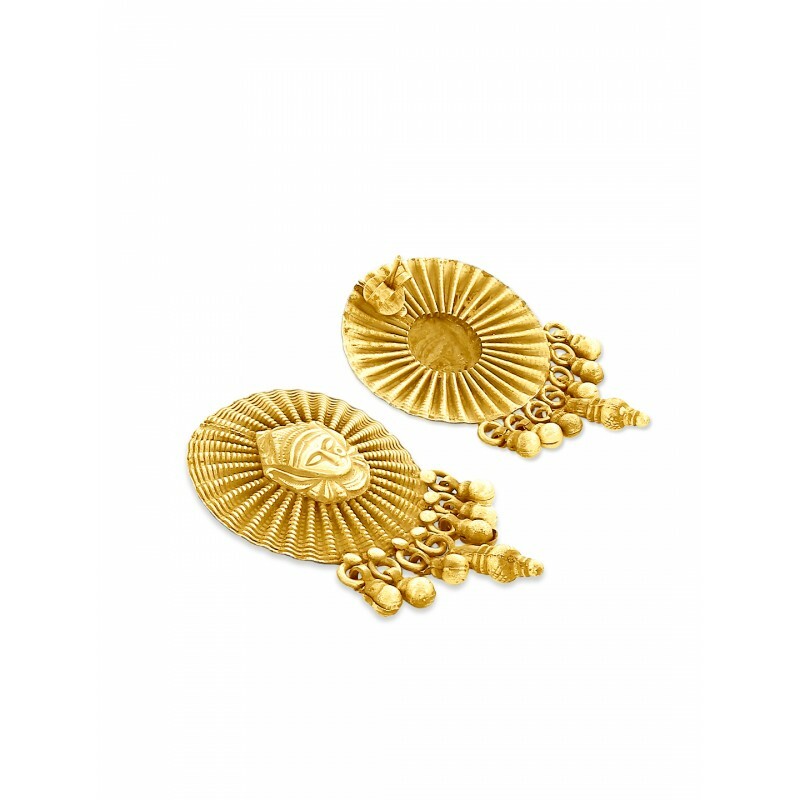 This earring is mounted with pure 24 Karat Gold Plating on pure 92.5 Sterling Silver which is the highest proportion of silver that can be used to make jewellery.